Gaikai is a cloud based gaming service, it has announced that it has launched a beta version of its app through facebook and promises to provide console quality gaming and challenges Onlive, one of the leading cloud based gaming service providers. "People don't want to leave Facebook to play games – Zynga's phenomenal success is proof of that," explained Perry. 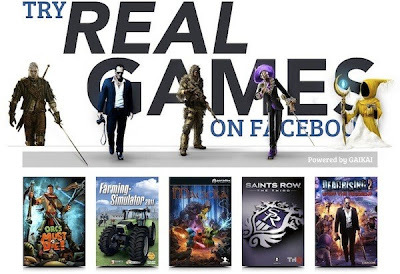 "Cloud Gaming means that the game doesn't need to be downloaded and run on your computer, it literally means the game runs out on the internet, in the cloud, with the experience being streamed to the players. 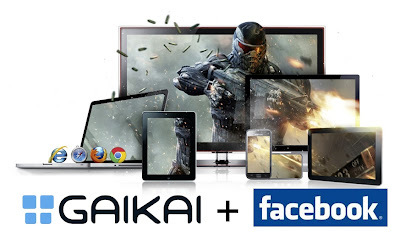 "Most video game publishers are now seeking to grow their digital customer base and unlike movie and music services like Netflix and Spotify, Gaikai gives the game publishers relationships with the customers."